Earlier this year, we launched "Let’s Put Our Cities on the Map” to provide businesses across the U.S. with simple ways to be found when customers search for them online. We’ve been making that process faster, easier, and free, so that more customers find businesses in their area when they turn to the web for information. With pro football’s Big Game happening this February at Levi’s Stadium in Santa Clara -- the first in the Bay Area since 1985 -- we want Google’s hometown businesses to have the tools they need to show up when visiting sports lovers inevitably start searching online for local restaurants, hotels, attractions and more. 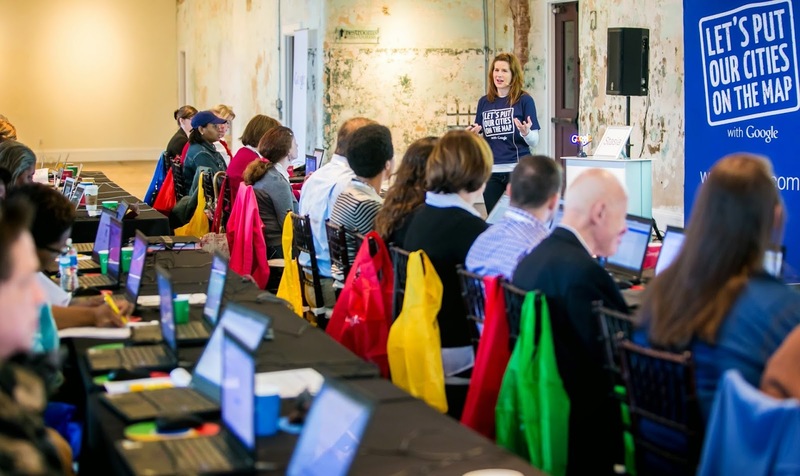 That’s why we’re announcing a special series of “Let’s Put Our Cities on the Map” workshops designed especially for the Bay Area businesses we know and love to learn strategies to getting online -- and in front of everyone coming to town for the Big Game. From farmers markets to taquerias to a virtual reality arcade, we know it's never too late to show up online -- even in the heart of Silicon Valley! 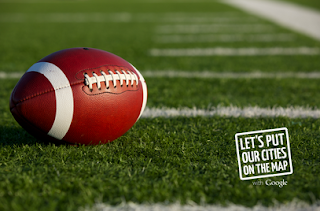 We’re encouraging businesses to use this opportunity to take steps right now to maximize online interest they may experience leading up to the Big Game. Join us as we help put the San Francisco Bay Area on the map! 1. Seidman Research Institute and W.P. Carey School of Business at Arizona State University Study, June 2015. 2. I-Want-to-Go Moments: From Search to Store. Think with Google, April 2015. 3. Google/Ipsos MediaCT/Purchased, Understanding Consumers’ Local Search Behavior, May 2014. 4. Google/IPSOS, Survey of businesses with less than 250 employees, October 2013. 5. Marketing Sherpa, Search Marketing Benchmark Report SEO Edition, 2012.